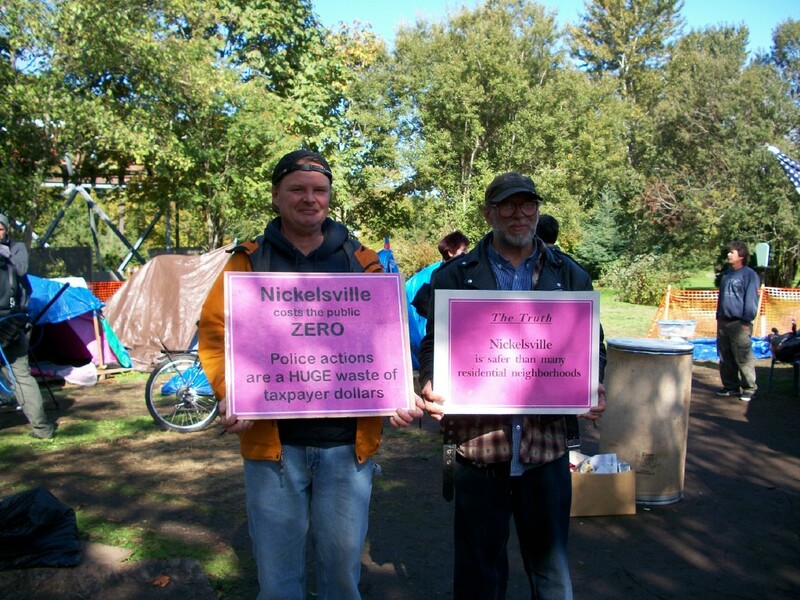 Robert Hansen was known and loved by many people: as a Real Change vendor, as an activist, and as a friend. He helped others by standing up for what he believed in, by mentoring others, and in countless small personal ways like petting a customer’s dog while she was shopping. Robert died April 28, 2010, sleeping in his truck, two days after being released from hospital with orders for bed rest. A public memorial service May 14 filled the plaza in front of City Hall with friends from Real Change, Seward Park, Nickelsville, SHARE/WHEEL, and City Hall itself. 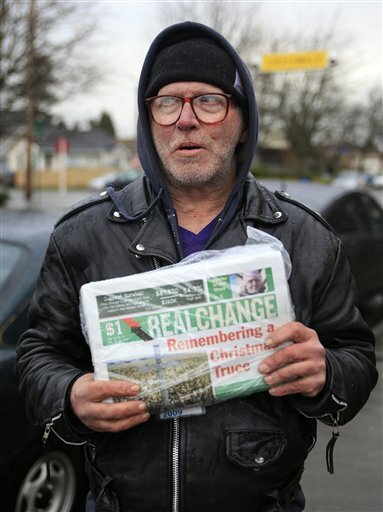 Seward Park PCC, where Robert sold Real Change for many years, donated funds to dedicate a vendor learning lab to Robert in the new Pioneer Square offices of Real Change. The Real Change announcement of his death received 45 comments. In life, Robert was interviewed by the Seattle Times, the Seattle Post-Intelligencer, and the New York Times. 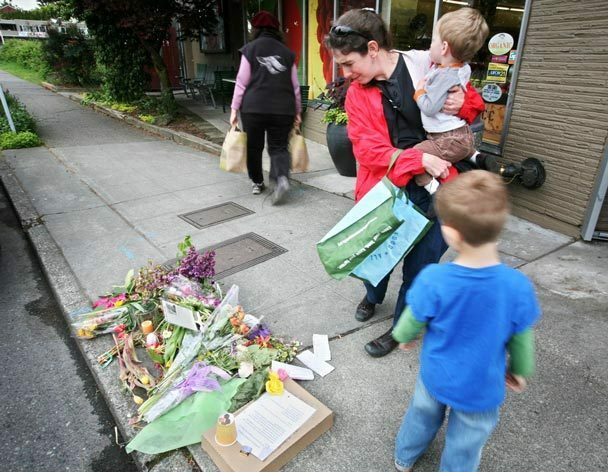 His death was covered by KPLU and the Seattle Times, as well as Real Change, the Seward Park PCC newsletter, and Sally Clark of the City Council. Robert Hansen has a Leaf of Remembrance at Seward Park PCC dedicated September 18, 2011. Robert could talk the hind legs off a donkey! I was late to work more than once – and I never regretted a minute of it, because I enjoyed his company.